Bright white with sweet fragrance, Gardenias are often chosen for wedding bouquets. These flowers are associated with several meanings including purity, love and refinement, which makes them an appropriate choice for wedding occasions. They are actually part of the coffee family, and are native to tropical sections of Africa, Asia, Australia the Pacific Islands and Hawaii. What Does the Gardenia Flower Mean? In Victorian times flowers were used to convey messages between people. When a person was unable to outright express their feelings of love for another, it was and still is a common practice to say it with flowers. 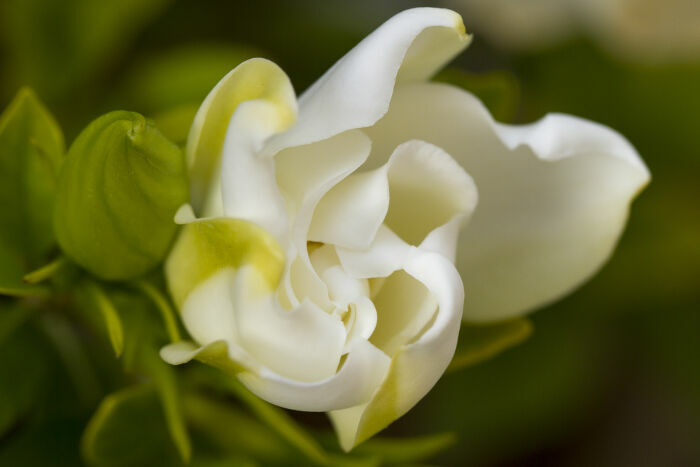 While any type of flowering plant will do, if you want to express your love and devotion to someone but don’t want your identity to be known, the gardenia is the flower to give as a present. It signifies a secret love or an untold love. 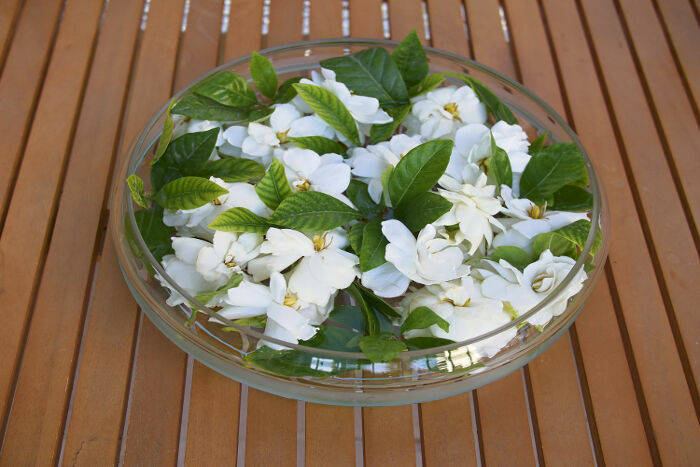 Gardenias are also given to convey “you’re lovely”. 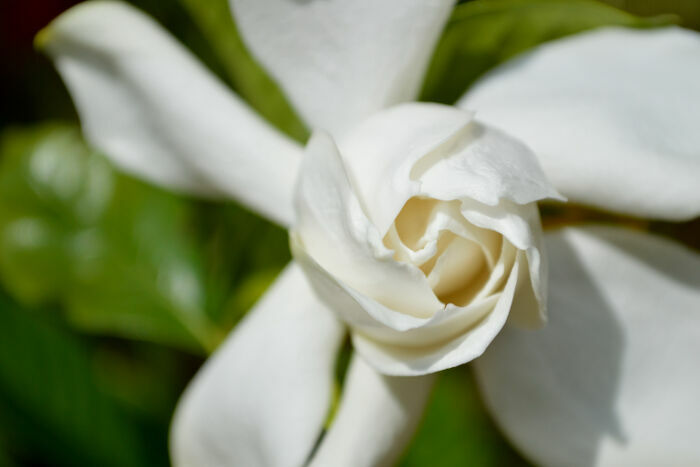 Used in this way, the gardenia is a flower that can be given to lovers, friends, and even family. It’s a way of telling them how lovely they are. 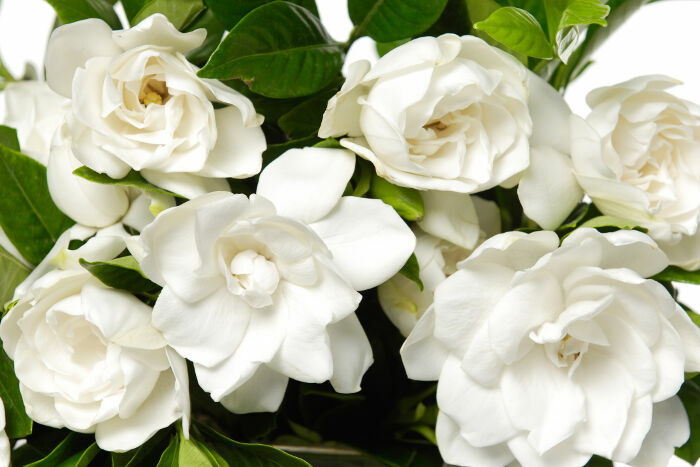 And because the color of the gardenia is white, it also signifies purity. This flower is a wonderful addition to a wedding bouquet as it fits any color theme and it also brings the message of love and purity. 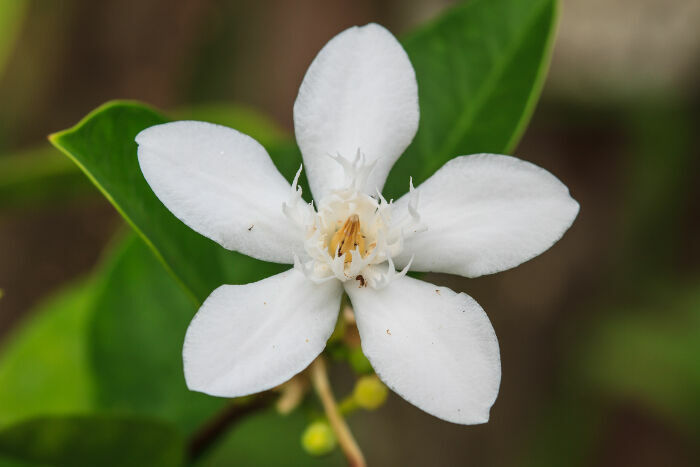 The generic name Gardenia is named in honor of Alexander Garden (1730-1791) of Charleston, South Carolina who was a botanist, zoologist, physician, and correspondent to John Ellis, zoologist, and Carolus Linnaeus, who devised the classification of genus/species we presently used today. Gardenia leaves are shiny, and waxy. This is symbolic of clarity. In addition, it’s symbolic of self-reflection. 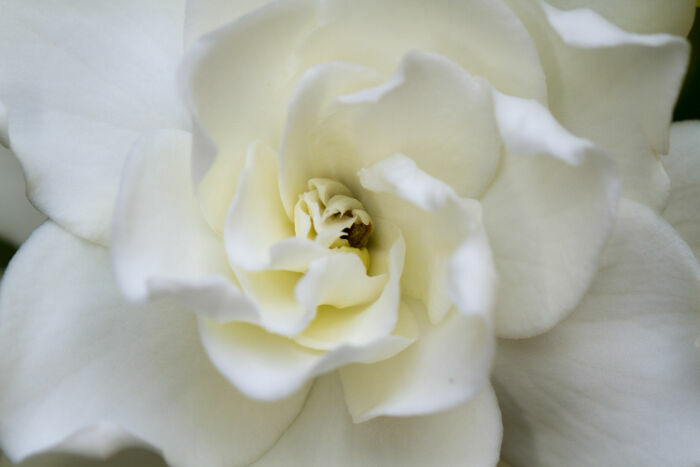 In fact, many earth worshiping sects subscribe time with gardenia in meditation in order to come to the core of oneself for understanding and enlightenment. 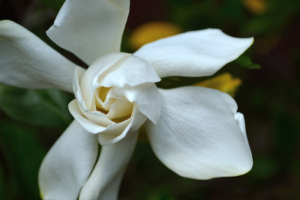 Gardenia flowers also symbolize protection. They naturally deter certain insects. Metaphorically and energetically, they can help dispel bad feelings or energies in our lives. In numerology the gardenia is a number 8. This has the planet Saturn as a symbol and it reflects characteristics of freedom, vision and expansiveness. Like many other flowers Gardenias have been documented to have medicinal properties. The flower itself is perfect for aromatherapy and is used for relaxation and to de-stress. The leaves, fruit and flowers are mixed with other ingredients as a remedy for the common cold. 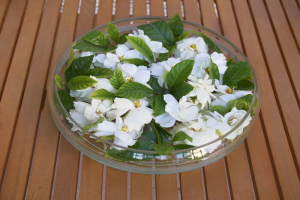 When gardenias are consumed in the form of tea, it helps to relieve congestion and also detoxifies the blood. It is also used to reduce cholesterol. Used externally as oils or creams, it can help with inflammation and sprains. Since it’s not a poisonous plant, gardenia can be added to salads as garnish and also works as an antioxidant. 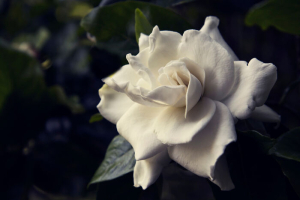 The symbolism of the gardenia flower has more to do with its color than with anything. Because it’s of a white shade, it’s the perfect representation for purity. But if the gardenia flower has a yellow tinge near its base, it means secret love. Along with symbolizing love or a secret love, Gardenia’s also bring a touch of elegance due to their bright white color and delicate nature. This has made them an excellent and frequent choice for wedding bouquets. 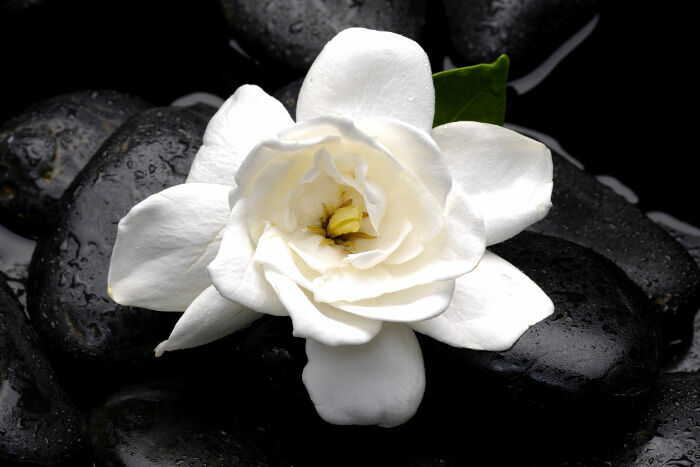 The Gardenia flower’s message is one of purity and love. Whether it is an expressed love, a secret love or love for friends and family, it is pure. It is elegant. It is love! I want to pick some from my garden to take to a neighbor in the hospital, how can I make them last and not wilt for a few hours? Love the gardenia ❤️I just got the plant … it’s amazing ???????? When you people come back to earth, ask God if she’ll teach you how to spell. I had a dream. 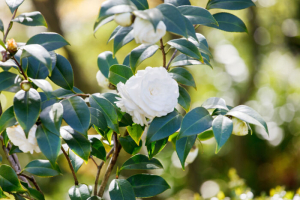 In the dream, I had been given 2 gardenia plants. These “comments” are absolutely lovely and precious ! ….and what a wonderful & informative Article. Gardenia’s and Lily of the Valley….what magnificent scents and so beautiful !.. As an EMPATH..THE ABSURBANT OF HUMAN ENERGY…I can say..life he not been easy by the least. In saying this.. I’ve had a lot of spiritual for a better lack of words. Tonight.. well it’s 2:32am..i laid in bed.. fighting my own demons.. talking to God…as I’m praying …i get a sweet odor.. perfume like… I doubt know much about flowers.. but as the aroma filed my nostrils the word.. GARDEN IS enters my mind . I know ours a flower but I have no idea of te spiritual meaning of the flowery or what it stands for.. HENCE… THIS ARTICLE. TO ME.. it’s CONFIRMATION… of this moment. The rest Is between Good and i. The Gardenia is a flower I love for its sense and its memory. It reminds me of my grandmother Joy Amies nee Fry. We are both psychic and clairvoyant in the full spectrum of things. She saw my face at birth in another city without being told. She sent valentines day cards to us because she knew she would die ahead of time. She understood the Eternal Present. She was like a white dove. I am now researching the William Tyrell case and this symbol along with the number eight has been consistent. I can only call it destiny and it involves multiple levels. I did not realise the significance of the man with the spots on his face and the moon gate dream I had where I fought a Eight Person or Paedaphile Ring with a Sword that just appeared in my hand. I struck its underbelly after it had struck me several times and ran through the maze like door which was forbidden but opened for me. At first I thought this was my fiances family as there were eight of them and the spider has eight legs, eight lungs and eight eyes. I know one of the monsters followed my son to the park and I recognised him and reported him to police. I think the flower is a guide and a protector a symbol used from above that is telling me I have to finish what I started but first I get my son to safety in school. This flowers fragrance almost makes my grandmother appear that I can almost speak to her in this state of spiritual bliss. I have no choice. I know the answer now and it scares the hell out of me. I saw Bickford. I am tired but I have to keep going now. Just sharing in a moment of intuition. Can I please contact you? Trudi, FYI: I was thinking of William Tyrell *just* today – so I thought you should know. As a confirmation of some kind: keep going. ???? This is my favorite flower.I use too pick this when I lived in florida.